Vinaigrette dressings are very easy to make, they don’t require a lot of specialized ingredients, and they can be processed and stored for at least a year. They are also one of those items that you’ll be happy to have on hand if you ever need to tap into your stockpile during a crisis. Here’s a delicious and zesty raspberry vinaigrette recipe that’s worth trying out, and it works nicely with strawberries as well. Sort and rinse the raspberries before placing them in a large stockpot. Pour in the vinegar, cover with some cling wrap and let it soak overnight. 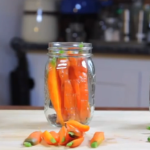 Preheat your water bath canner and warm the jars and lids when you’re ready to start making the dressing. Strain the liquid from the raspberries into a large bowl and compost the solids. Next, combine and mix the salt, pepper and paprika in a small bowl. Pour onto a paper plate and divide it into six evenly-sized piles. Mince the garlic and divide it into six piles as well. Place one pile of seasonings and one pile of garlic into each of your six pint canning jars. Next, measure the liquid, and then measure an equal amount of sugar. Divide the sugar into six piles and add one to each canning jar as well. 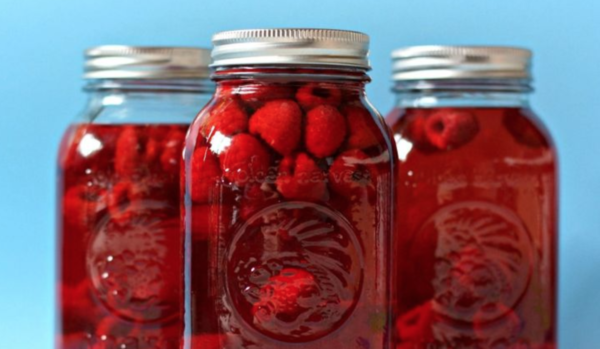 Pour in equal amounts of liquid into each jar, and try to maintain ¼ inch of headspace. 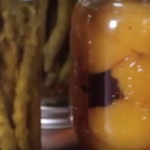 If you need more liquid, add in a little bit of vinegar to top off the jars. 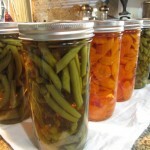 Give the jars a good stir before wiping down the rims and attaching the lids and bands. 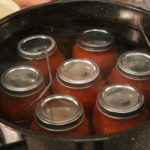 Place the jars into the water bath canner, and make sure that they are fully-submerged by two inches of boiling water before starting the processing timer. Process the jars for 10 minutes, adjusting for altitude. 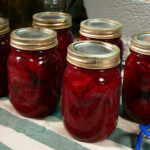 Remove the jars when finished, and place them on the counter or table. Let them cool for 24 hours before inspecting the seals and storing the finished product. Label and date the jars before storing them in a cool, dry place. When you’re ready to use the dressing, open up one of the jars, add a couple tablespoons of olive oil and give it a good shake. 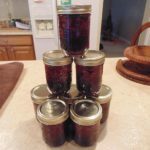 It’s worth mentioning that you do not want to add oil to the dressing before canning, because it can cause the product to go rancid. It’s also important to remember that the dressing will need to be consumed within a couple of days or refrigerated in order to keep it fresh. Vinaigrettes are some of the easiest and most-delicious dressings to prepare and preserve. Try this for yourself, and feel free to experiment with different amounts of sugar or various seasonings until you come up with the perfect addition to your pantry.